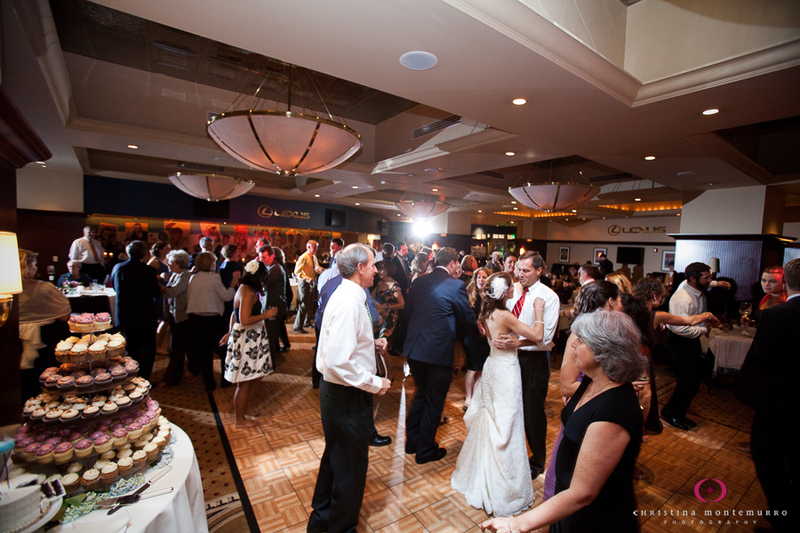 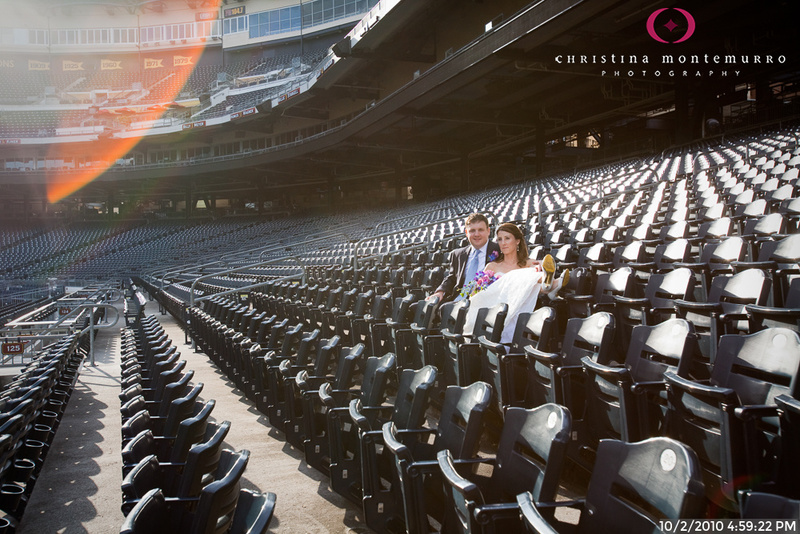 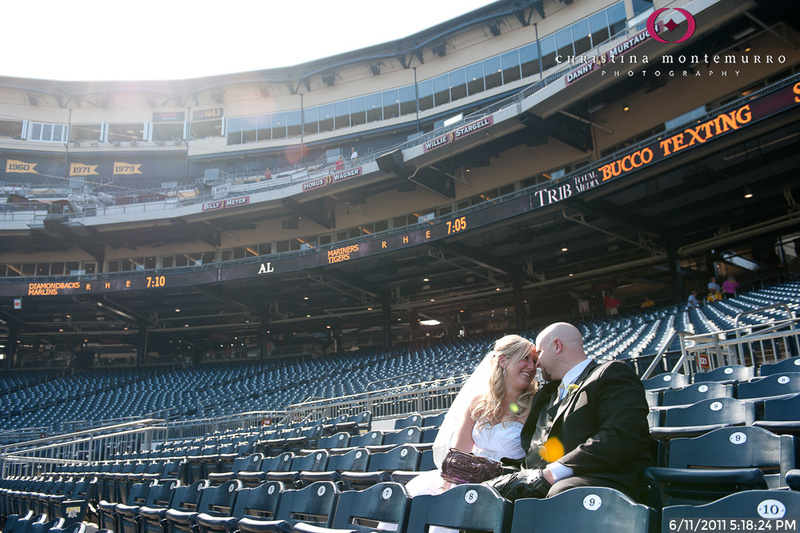 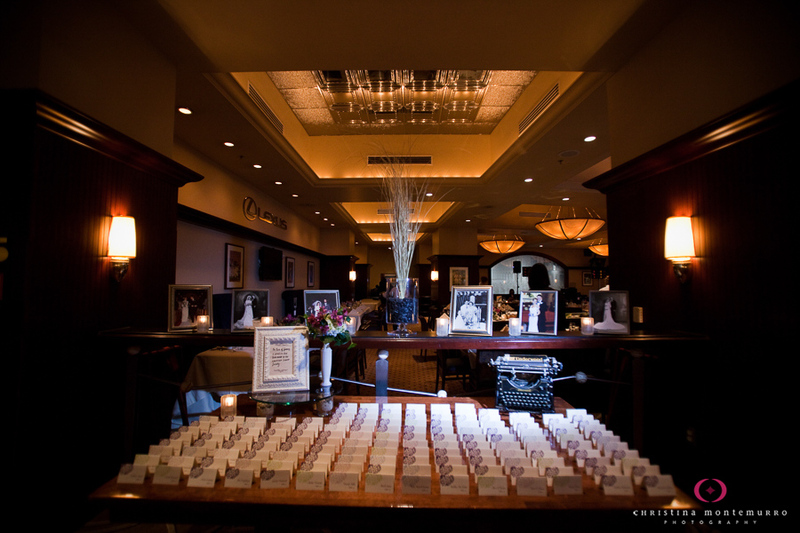 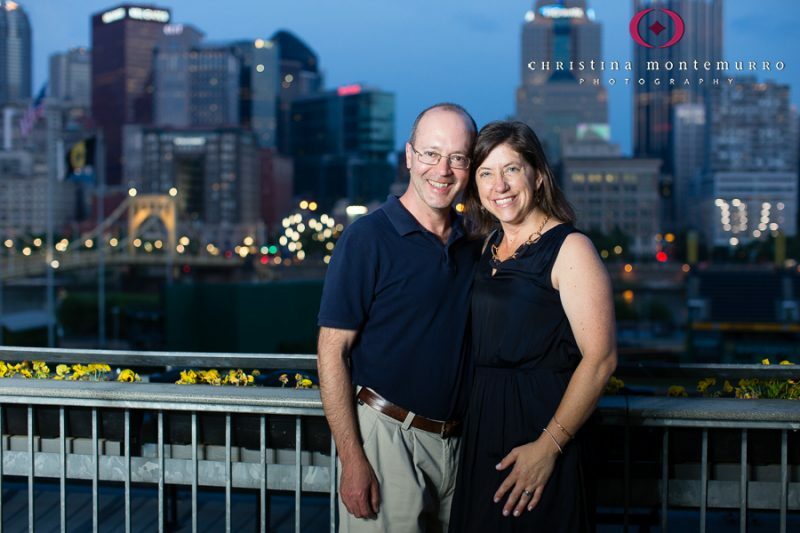 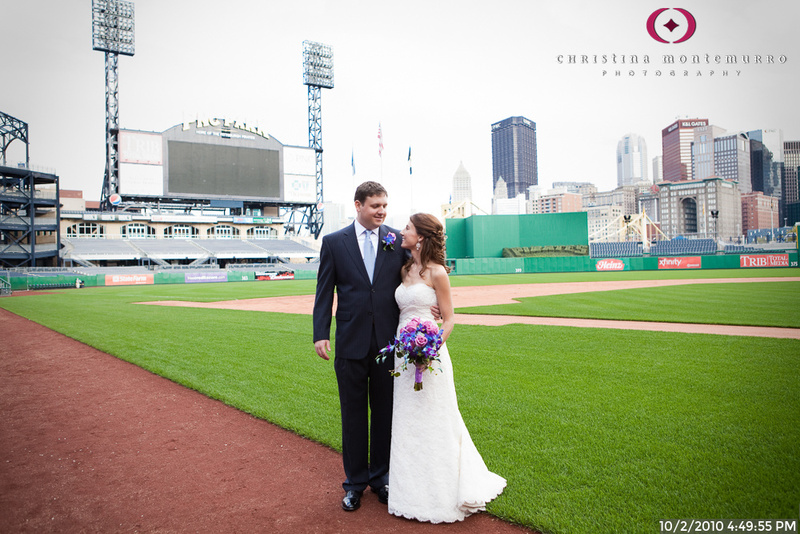 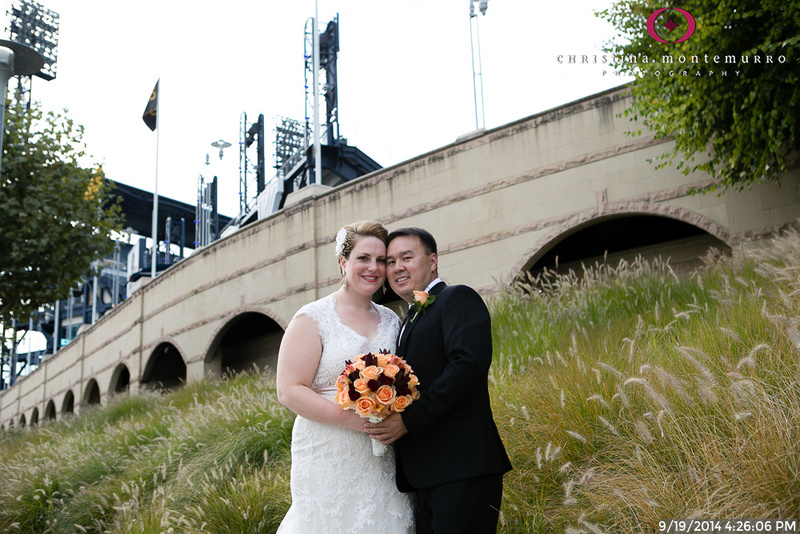 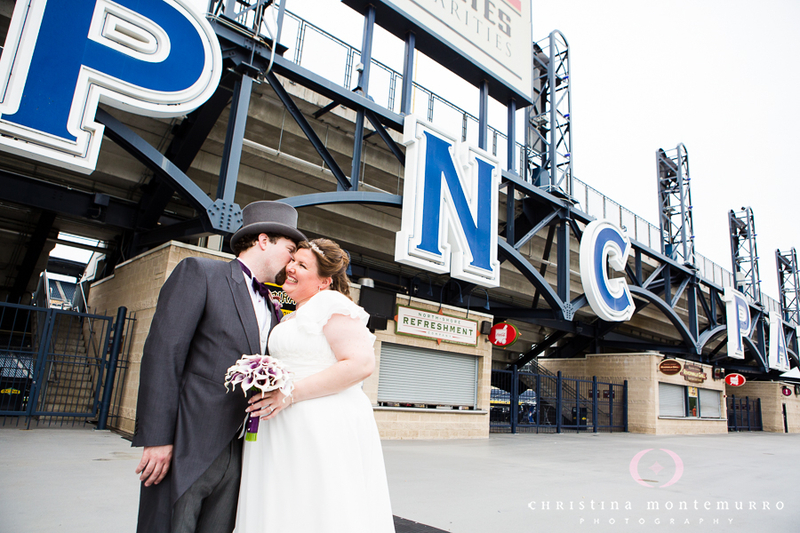 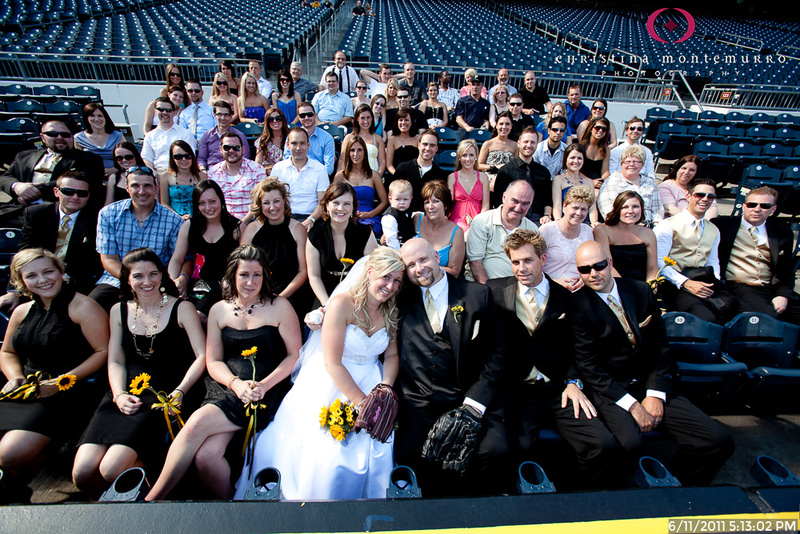 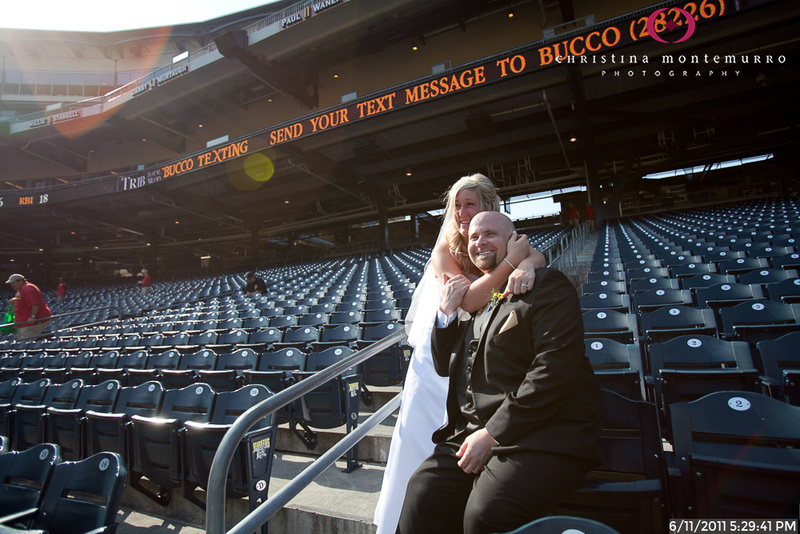 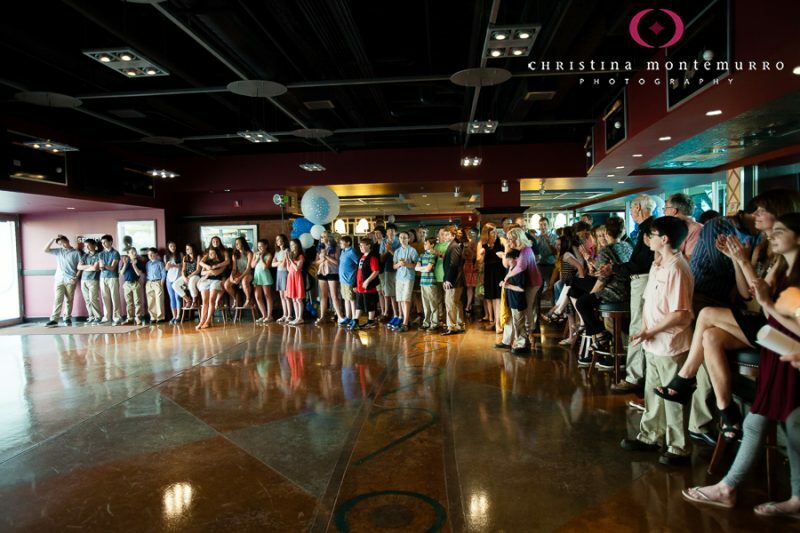 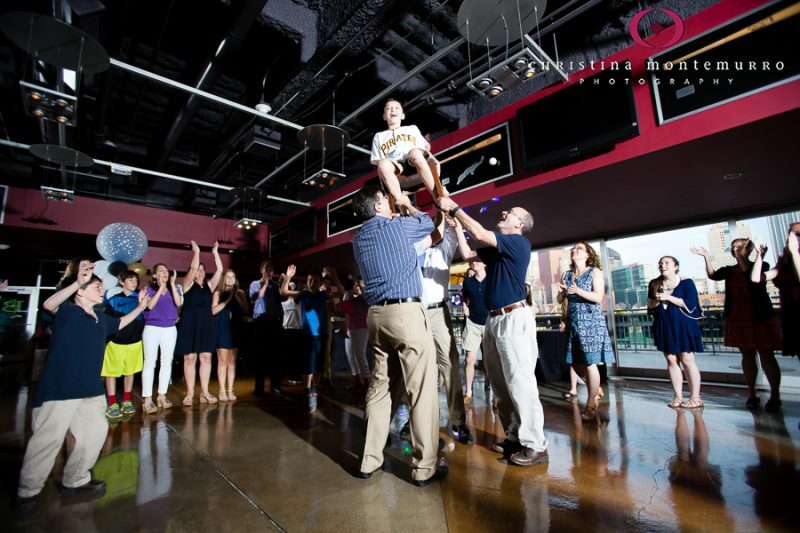 What’s to Love about Weddings at PNC Park? 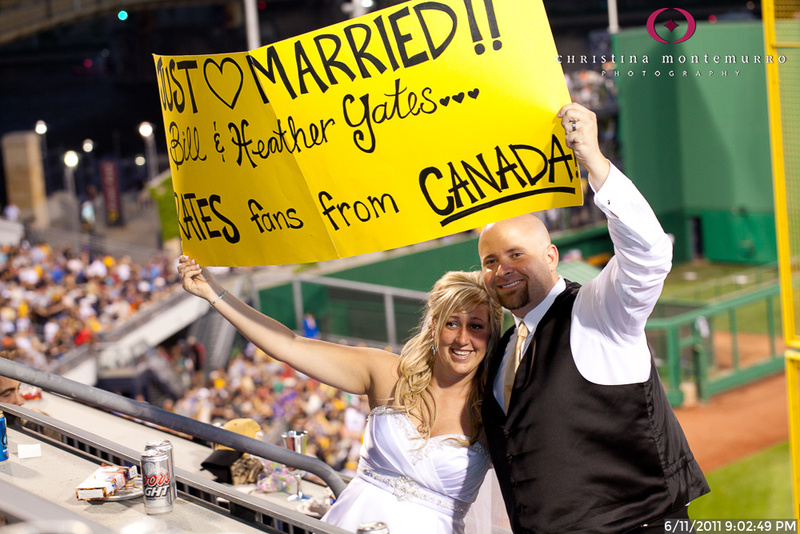 As a Pirates fan and baseball lover, I’m biased on this one. 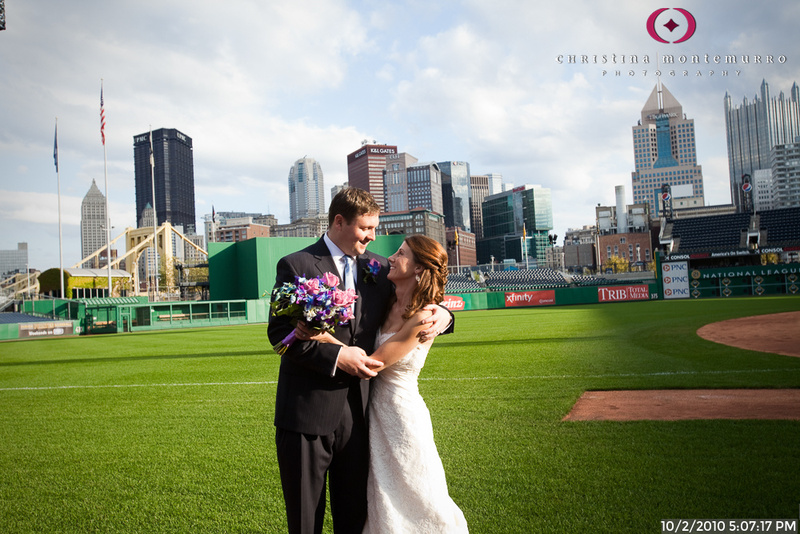 But even if you don’t love baseball, PNC Park has so much going for it. 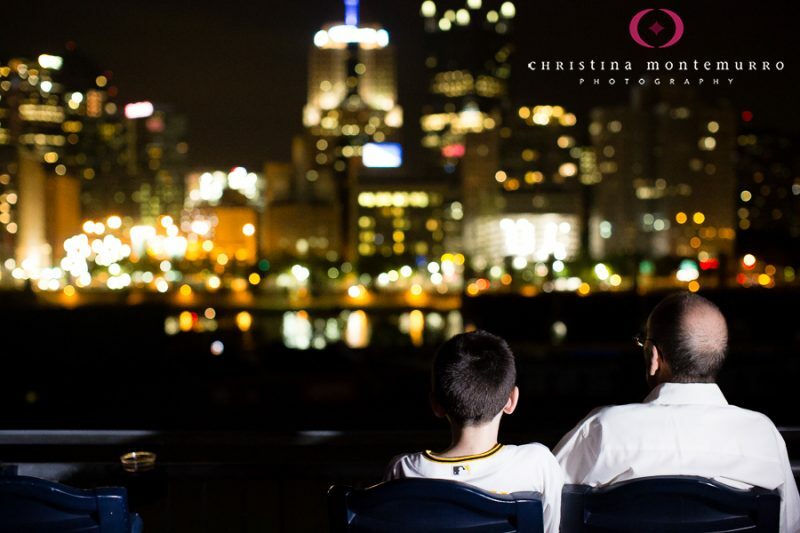 The view of downtown and the Roberto Clemente Bridge from the Gunners Lounge (located on the Pittsburgh Baseball Club level of PNC Park) is unparalleled. 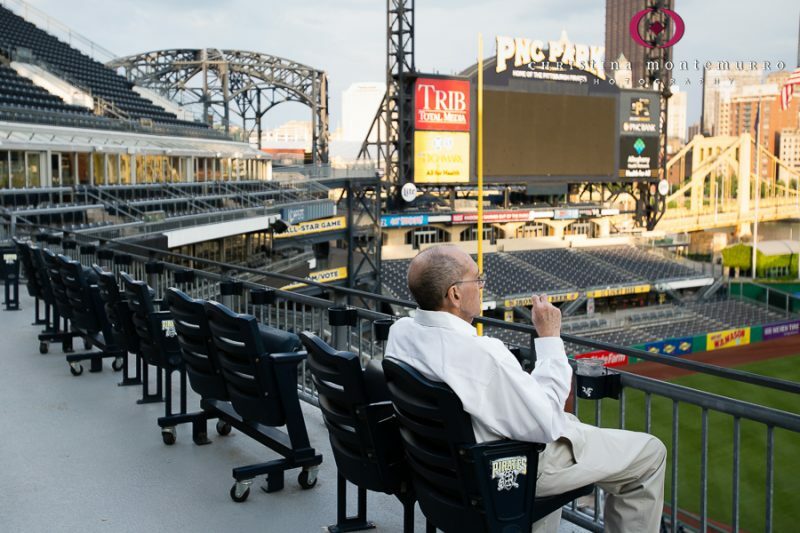 It’s a shame this isn’t a bar or restaurant open year-round, because I’d surely come here just for the view. 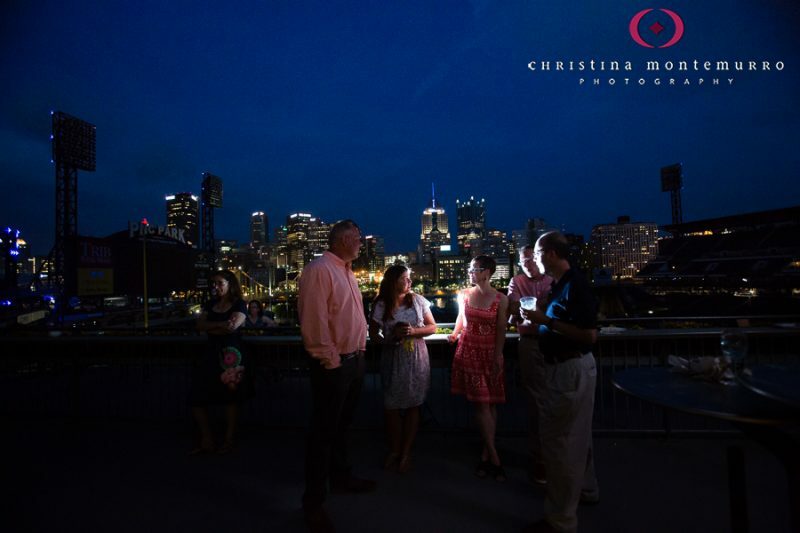 Out-of-town guests will rave about how beautiful Pittsburgh is after experiencing this view! 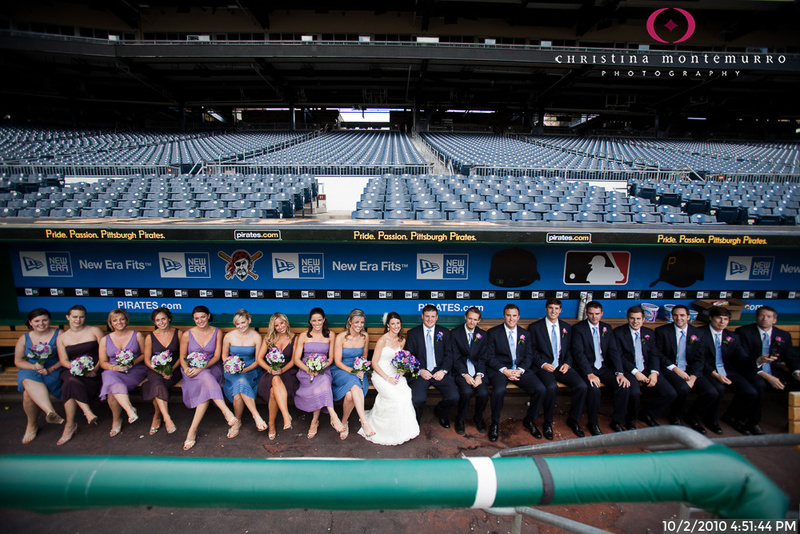 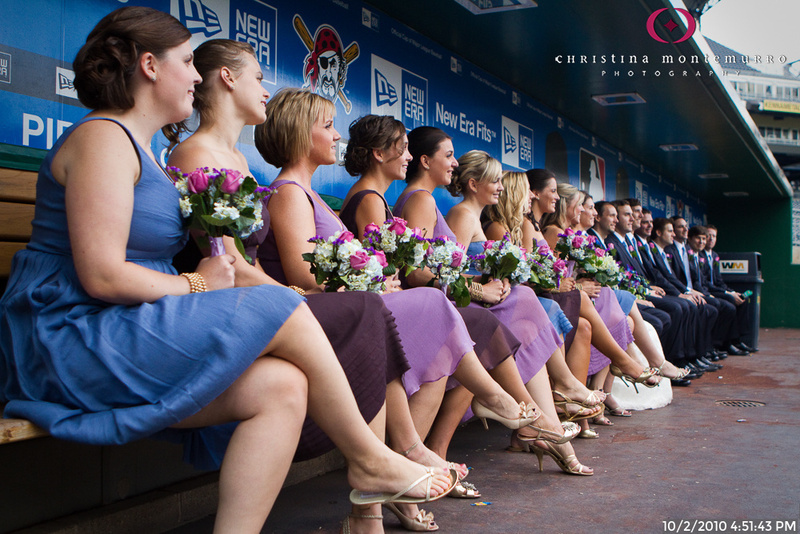 The bridal party has access to the dugouts and warning track of the field, as well as stadium seats. 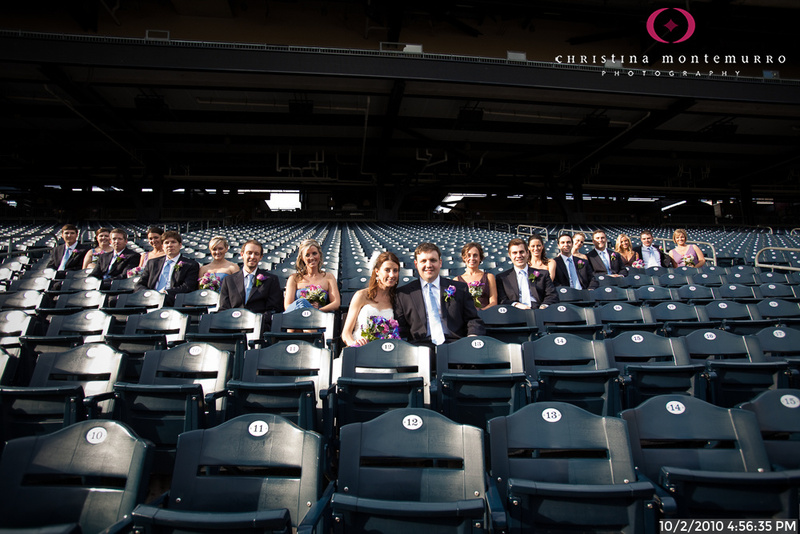 These are fun photos! 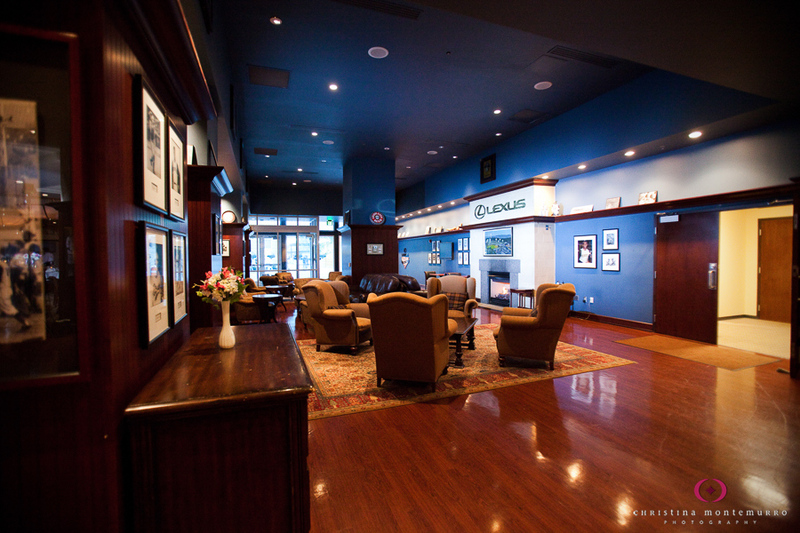 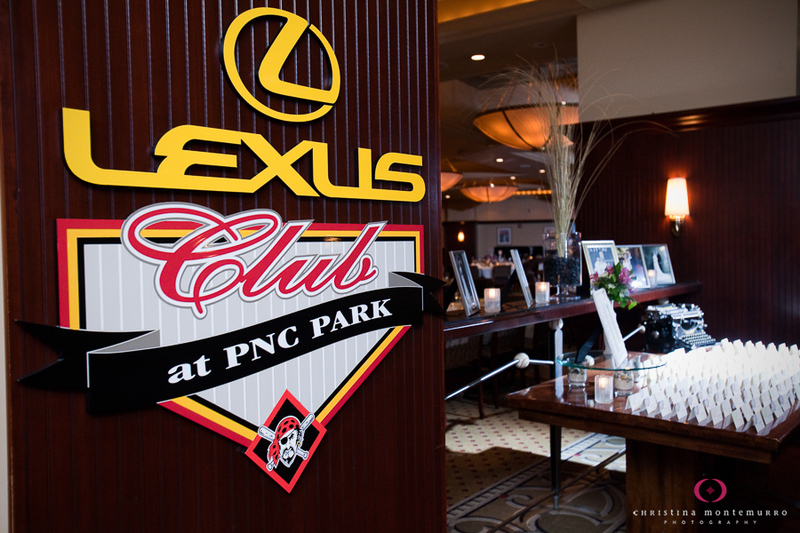 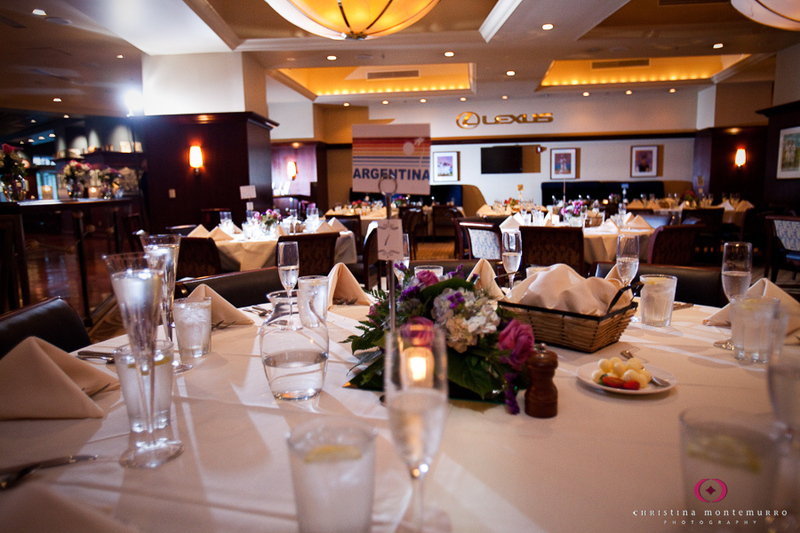 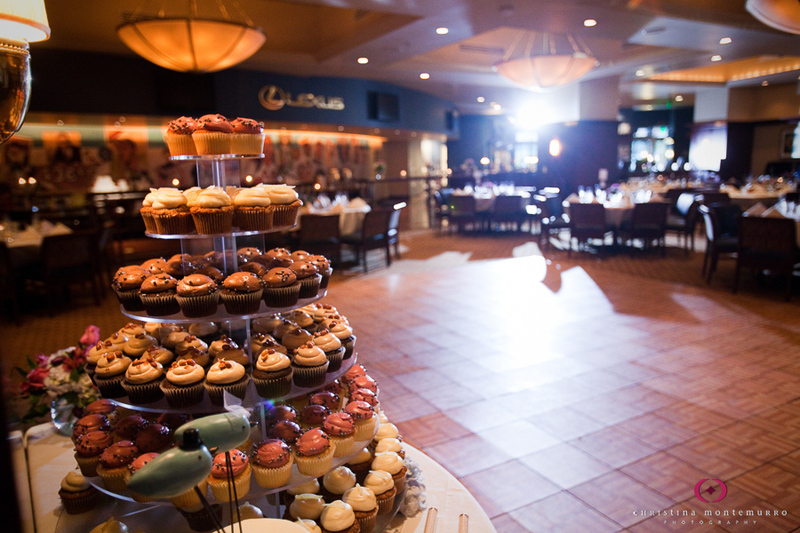 The Lexus Club, located at street level, has warm, inviting decor. 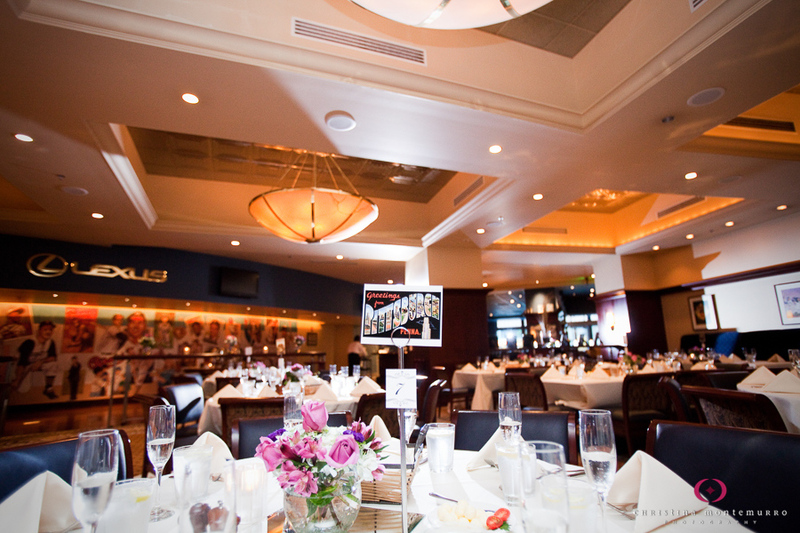 Also, there’s a spacious lounge with plush leather sofas and chairs, great for guests who want to relax during the reception. 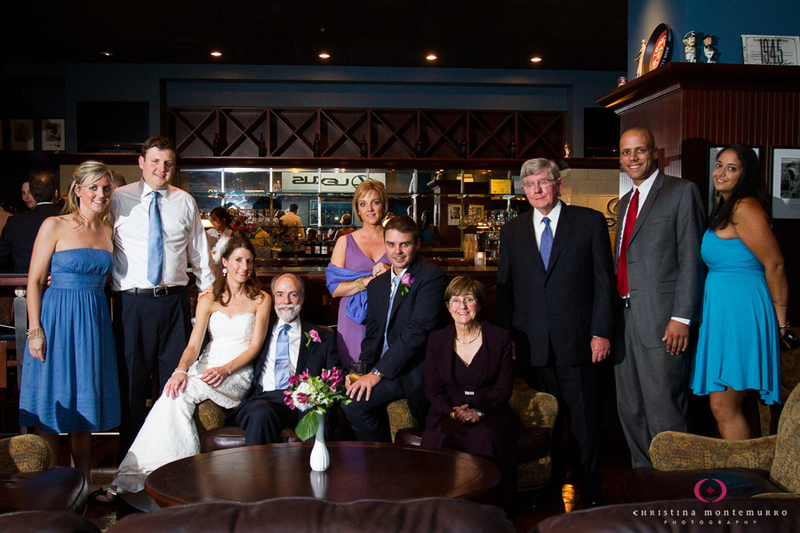 The bars here aren’t just your typical reception bar, but real bars with bar stools. 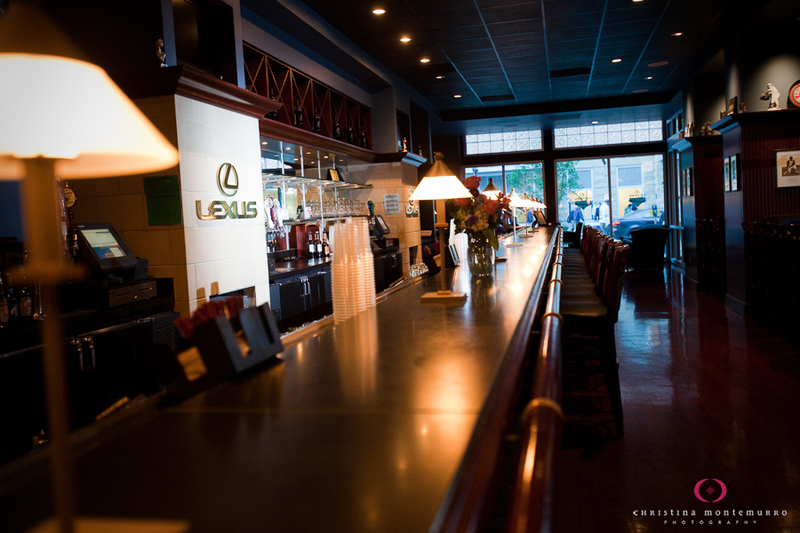 Who doesn’t love sitting at the bar?